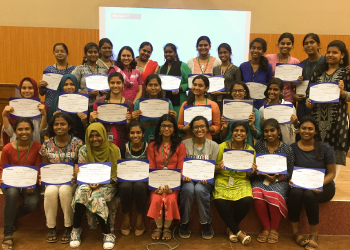 INaWORD recently concluded courses in German (Level A1.1 and A1.2) and Spanish (Level A1.1) at Women’s Christian College, Chennai. The courses were conducted in the 2nd half of the academic year, between November 2018 and March 2019. 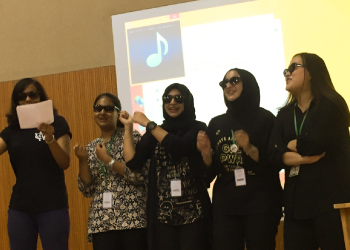 On completion of the courses, the students showcased the language skills they had picked up, in a wrap-up event at the college premises. 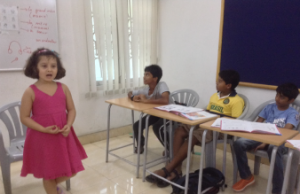 There were songs, skits, speeches and dancing – all presented by the learners with enthusiasm and flair. 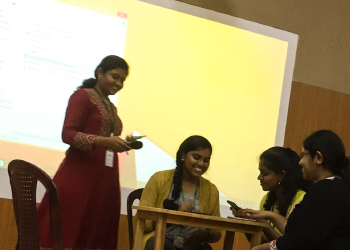 This marks the second consecutive semester in which INaWORD has been conducting foreign language courses at WCC, and we are gratified by the overwhelming response that we have always received from the students, thanks in no small measure to the efforts made by the Department of Languages at WCC. 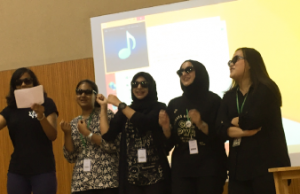 INaWORD is proud of its association with WCC, and of the students for the commitment and interest they demonstrated throughout the conduct of the courses. This was amply in evidence at the event, in which certificates of successful course completion were also distributed to the students.